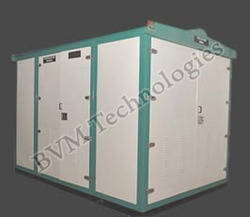 Building efficient and eco-friendly systems, BVM Technologies is amongst the leading manufacturers and exporters of quality electrical equipment & accessories, telecom products and mechanical products. We endeavor to create maximum value for our customers by providing hi-tech machines at the most reasonable prices. Combining innovative engineering concepts and cutting-edge technology, we have created a niche for ourselves in domestic as well as overseas market. We have installed latest machines that can manufacture products with precision and within stipulated time frame. Our team of highly qualified professionals work in symphony with the clients to offer them best solutions for their specific requirements. Quality has been our major forte. We have comprehensive testing facilities to ensure that all our products comply with International standards of quality. Further, our world wide sales network enables us to provide prompt services and timely delivery of the products at the client''s desired destination.Our product range includes telecom products, electric products, business telecom products, telecommunication products, premier telecom products, unique telecom products, electric motor products, telecom equipment etc.